Raw frozen meatballs made of pure beef meat. No grain. Natural supplementary feed for dogs and cats. Raw frozen tripe balls made of Finnish beef tripe. No grain. Natural supplementary feed for dogs and cats. Complete meal for adult dogs. Easiest way to feed balanced and natural raw food diet for your dog! Fulfills dog´s daily nutritional needs. Vitamins and minerals are added. High energy complete meal for adult dogs. Easiest way to feed balanced and natural raw food diet for your dog! Fulfills dog´s daily nutritional needs. Vitamins and minerals are added. Complementary feed for dogs and cats. Made of raw Finnish beef and game. No grain. High protein content, 20,7 %. Low fat complementary feed for dogs and cats. Made of raw Finnish beef tripe. No grain. High energy complementary feed for active dogs and cats. Made of raw lamb meat, organs and fat. No grain. Complementary feed for dogs and cats. Made of Salmon and Rainbow trout. Natural source of Omega 3 fatty acids. No grain. High energy complementary feed for dogs and cats. 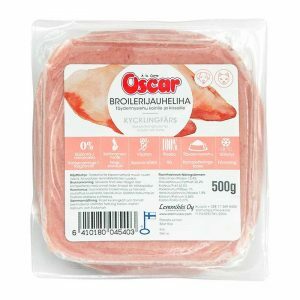 Made of raw Finnish pork. No grain. Complementary feed for dogs and cats. Made of raw Finnish beef. No grain. High protein content, 19,5 %. Meaty Chicken Treat for dogs and cats. NO GRAIN. Complementary feed. 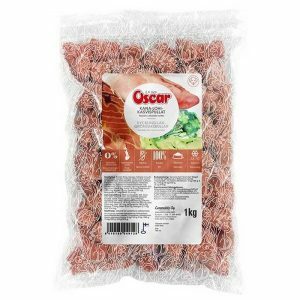 Treat for cats and dogs made of Finnish beef tripe by cold drying method. No grain! Tasty treat also for picky pets. NEW! Crispy oven dried treat for dogs and cats made of Finnish pork. NO GRAIN. Complementary feed. NEW! Crispy oven dried treat for dogs and cats made of Finnish beef and beef liver. NO GRAIN. Complementary feed. NEW! Crispy oven dried treat for dogs and cats made of Finnish beef tripe. NO GRAIN. Complementary feed. High energy complementary feed for dogs and cats. 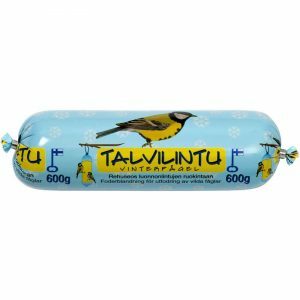 Made of raw Finnish Chicken meat and bones. No grain. 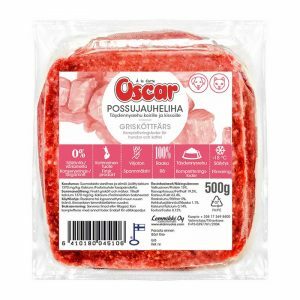 Finnish raw-frozen beef and pork for dogs. Raw frozen mashed vegetables can be used to complete dog’s raw food or home-made food. Raw frozen beef neck bones for dogs. Raw frozen beef shinbones for dogs. Raw frozen meaty beef gristle for dogs. NEW! Crispy oven dried treat for dogs and cats made of Finnish beef. NO GRAIN. Complementary feed. NEW! Soft oven dried treat for dogs and cats made of fresh salmon. NO GRAIN. Complementary feed. Turkey treat for dogs and cats. Supplementary feed. High quality salmon oil from the crystal clear fjords of Norway. Made with exclusively 100% fresh salmon. Rich source of Omega-3 fatty acids which supports cats and dogs shiny coat, healthy skin, immune system, brain development and cognitive functions, joints and bone integrity. Grain mixture for dog’s porridge. Tasty, cooked complementary feed for dogs made of Finnish chicken and pork. Serve as it is or mix with porridge or dry food. You may also warm a slice in a microwave oven and you’ll get a really tasty gravy for dog’s dry food or porridge. Supplementary feed for dogs. Serve as it is or mix with porridge or dry food. You may warm a slice of meatloaf in a microwave oven and you’ll get a really tasty gravy for dog’s dry food. Meatloaf of beef, pork, vegetables and egg. Complete feed for dogs.